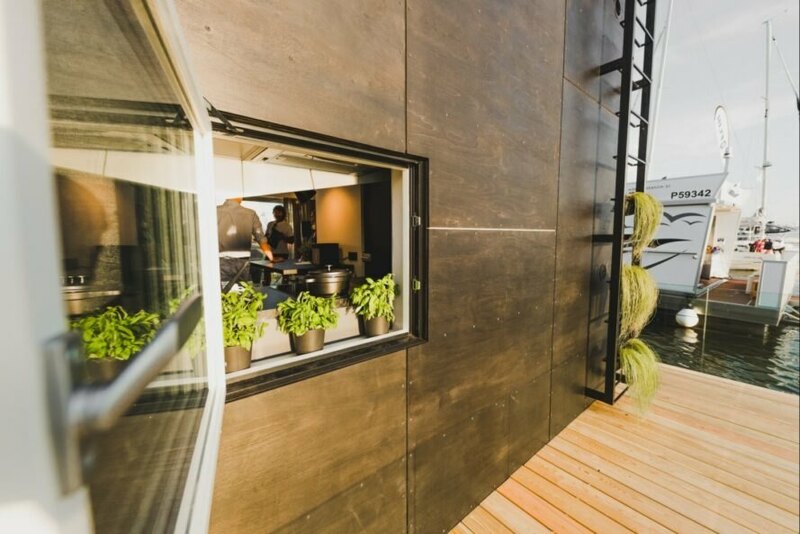 Already well-known for their gorgeous and sustainable tiny structures, Estonian design firm Kodasema has just unveiled a floating prefabricated tiny home. 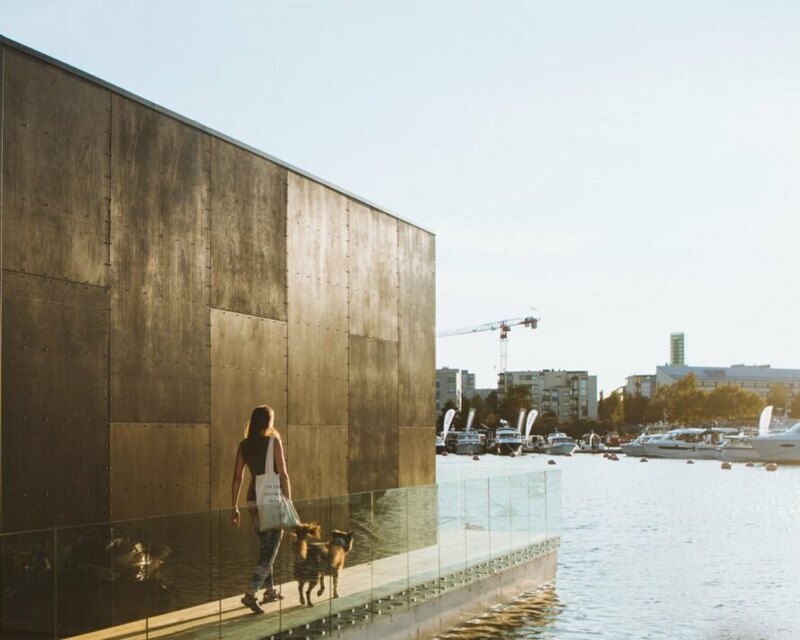 The 227-square-foot KODA Light Float is an updated version of their KODA design, set on floating pontoons that enable the minimalist home to be installed on virtually any waterfront space. 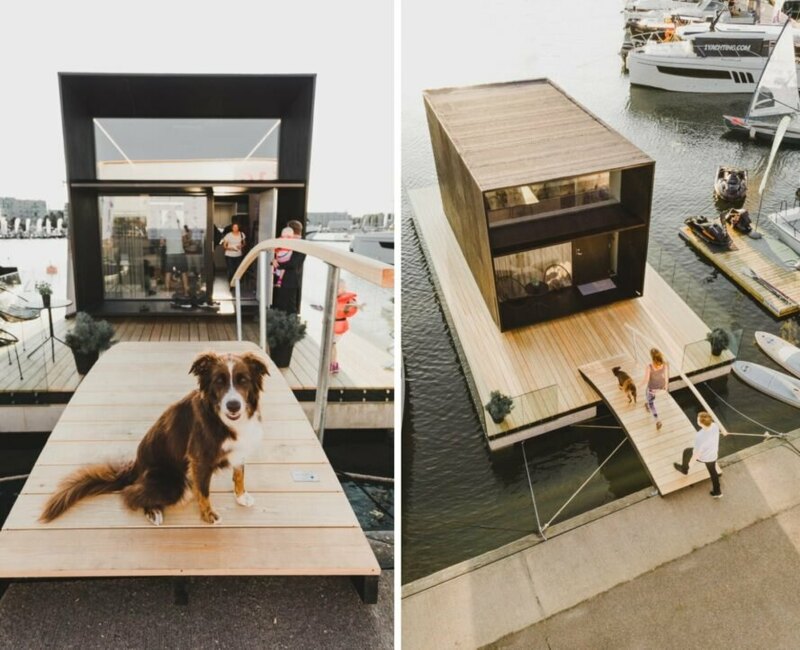 Much like its land-based counterpart, the solar-powered KODA, the floating tiny home is a beautiful example of modern minimalism. 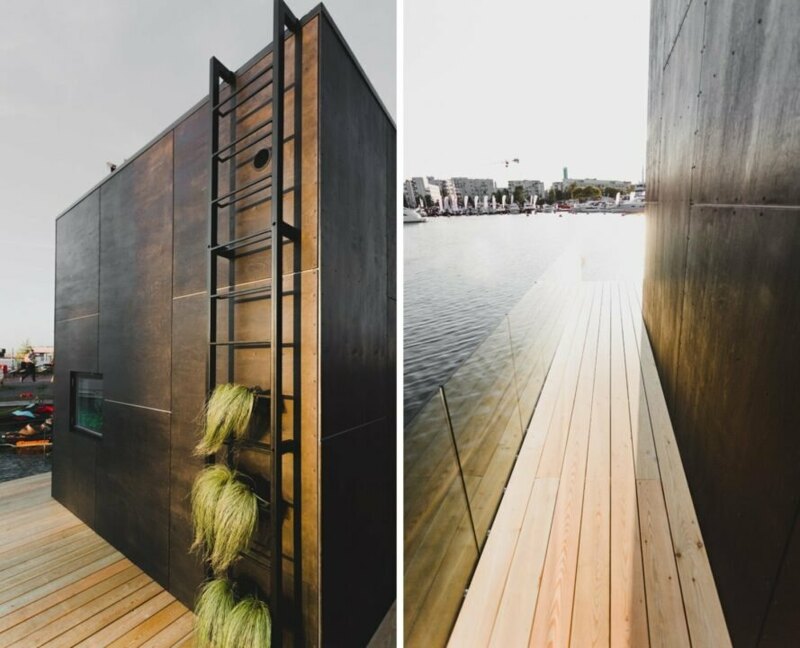 Built in collaboration with floating marina installations company Top Marine, the Koda Floating Light was built with a timber frame and platform. Under the platform are a series of floating pontoons that enable the home to be docked at virtually any waterfront property. 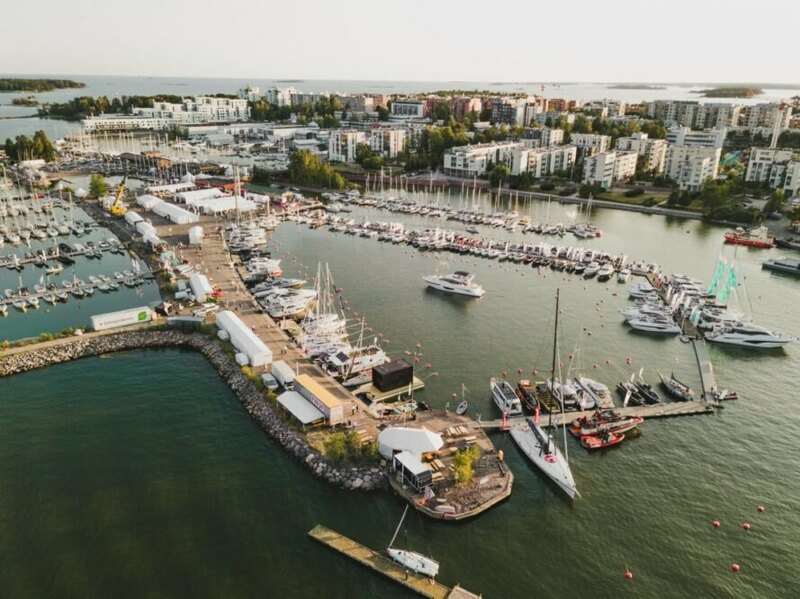 According to the Kodasema team, the floating tiny structure would be just as home at a private yacht club harbor as it would be a secluded lake or canal. Although the structure has all of the amenities for a serene home or weekend retreat, it could also be easily used as a harbor cafe, information center or even an artist’s studio. 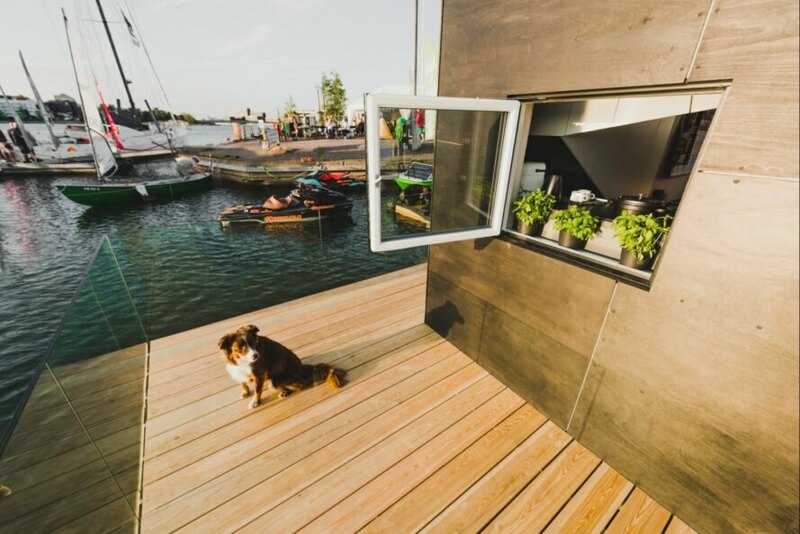 The floating home‘s cube-like volume is surrounded by the large platform with a bridge that attaches to the dock. The extended platform acts as a wrap around deck for the home, and can be crafted into added green space or vibrant entertaining area. 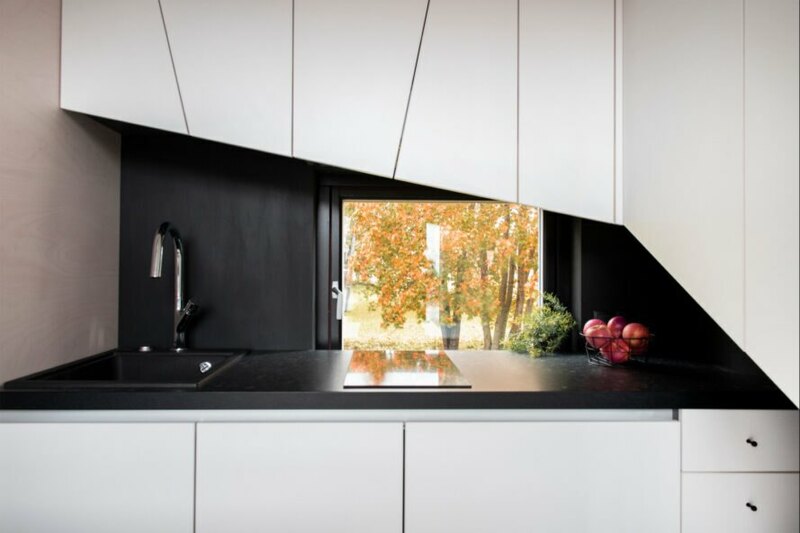 The exterior of the home can also be customized with a variety of cladding options such as timber or zinc. 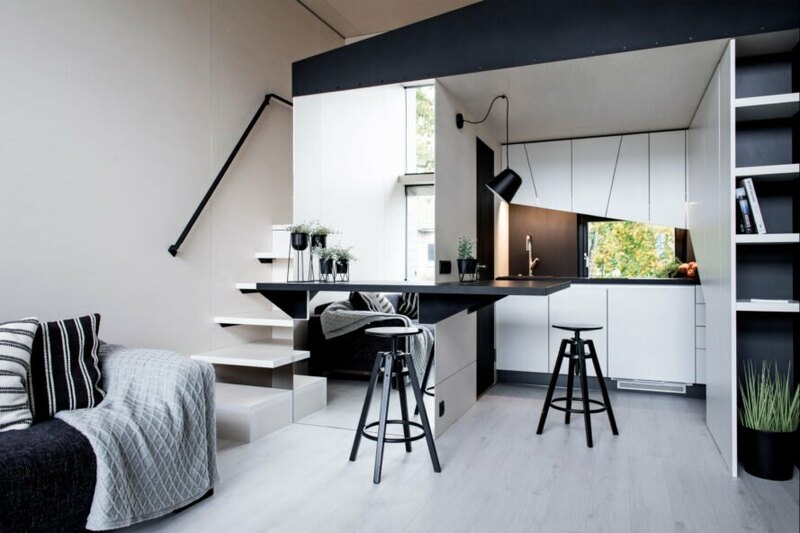 The interior is also a contemporary space, with all-white plywood walls and high ceilings. The 277-square-foot interior houses an open-space living area, kitchen, full bedroom and small bathroom. The home is also equipped with extra large window panels, that flood the interior with natural light and provide stunning views of the surroundings. Previous PostErgoErgo Sitting Stool: Perfect For Work — Or A Tiny House!